Unless you’re a Christian, Jewish, atheist, or apostates fleeing Muslim persecution, of course. 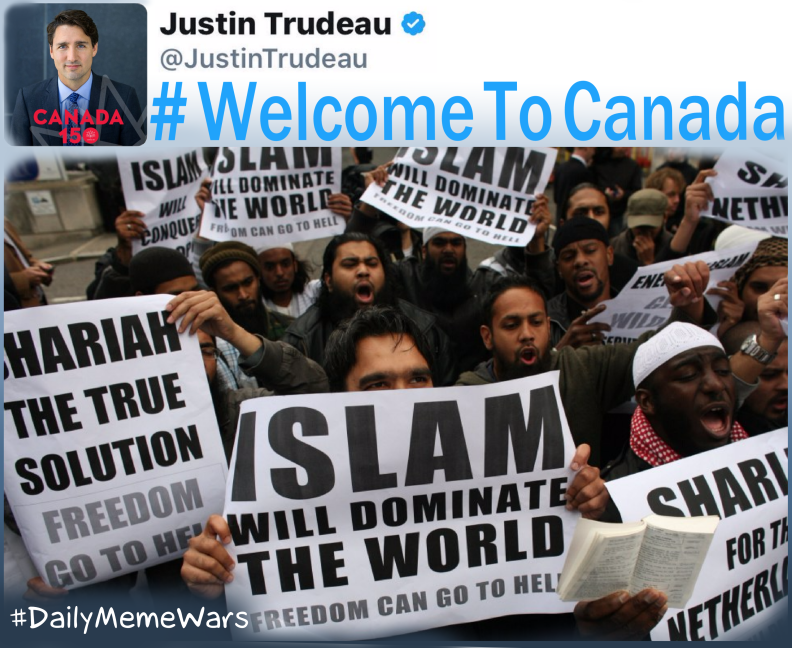 And I rather suspect that Mr. Trudeau would not welcome any of the United States’ tiny band of wanna-be Baby Hitlers who are fleeing persecution for their despised beliefs. So to everyone whose life and liberty are threatened by rabid authoritarian idealogues; to those who lost loved ones to their violent acts, my heartfelt condolences. We will #ResistTyranny. And may God have mercy on their souls. “Freedom can go to Hell” huh? Well, I suppose that’s one way to call for liberating Hell. Not a very good one, but one. From my perspective Freedom (and the Way, the Truth & the Light) did go to Hell. The doors therein are now locked from the inside. If you give me one more access point I can usually track down anything that was published. It was meant to be a trilogy. I read the first and second entries, the third – as far as I know – was never written or at least never released at all.